SEASIDE, Calif., July 26, 2017 – Thousands of teachers will gather across California on July 28 for the third annual Better Together: California Teachers Summit, a free statewide day of learning and networking that is open to all California pre-K-12 teachers, teacher candidates and school administrators. As one of 35 locations across the state, CSUMB will host local teachers at the Tanimura & Antle Family Memorial Library from 7:30 a.m. to 12:30 p.m. Friday July 28, 2017. Jill Biden, a lifelong educator and former second lady of the United States will provide the keynote address, which will be live-streamed from the event headquarters to all 35 sites. 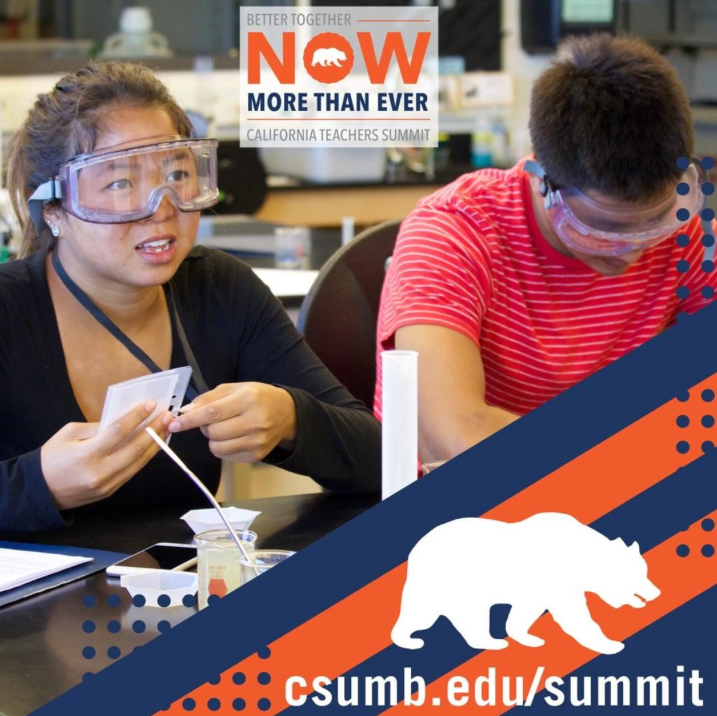 The daylong summit at CSUMB will also include two TED-style EdTalks, one of which will be given by Mark Cisneros of Alisal High School and Alex Hofsteen of the International School of Monterey. The theme of this year’s Summit is Now More Than Ever, which reflects the importance of bringing teachers together to listen and learn from one another. Sessions will focus on timely topics ranging from addressing bullying in the classroom to celebrating diversity to teaching students to be open-minded, critical thinkers. By bringing California teachers together, the Summit will empower teachers to support our students, protect our values as educators and set an example for the nation. Teachers will walk away with access to new resources and concrete tools that they can use to implement the California Standards in their classrooms.